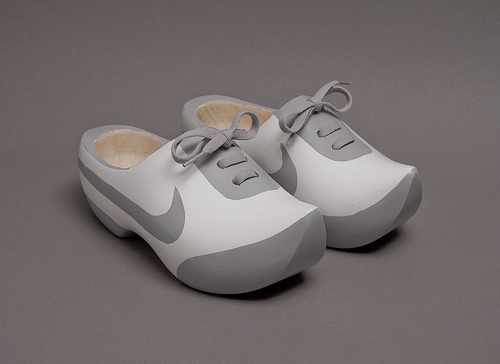 Johnny Kelly painted wooden clogs to look like a pair Nikes for the Nike78 exhibition. Hilarious! This is awesome! My Oma has klompen, and I used to clomp around in them as a kid. They didn't have nearly this "coolness" factor, but these are pretty sweet. I would wear them!